The usual image that people have of a minimalist lifestyle is avoiding all of the modern offerings of the world. They visualize living in the woods, in a cabin without electricity, a charcoal stove and a bathroom located outside the cabin. There are plenty of ways in which minimalism can be embraced that do not require any grave compromises. At its core, a minimalist person values himself/herself more than material things. It means creating decisions based on what is needed instead of acquiring everything you want. More money – less stuff bought means more money in the pocket and less money in the store. This money can be used to pay off debts or as an addition to a household’s emergency fund. Breaking free from the comparison game – Modern society tells us that owning more is the only way to happiness. And when we fail to get more, we feel miserable. A minimalist lifestyle makes you happy with less possessions. Decluttering makes finding things easier – getting rid of unimportant things from the attics, closets and drawers will open up more space in your home. This also makes finding stuff a lot quicker. More energy- the energy that is spent dealing with clutter will be available for other things. People not burdened by a materialistic lifestyle are healthier and stronger. The past will not weigh you down anymore – the more stuff you own equals the more your stuff owns you. Minimalism is letting go of things you were holding onto. And there is a priceless freeing sensation in letting go of stuff that is weighing you down. When boredom comes, you’ll probably end up spending money to entertain yourself. Discovering free hobbies that you love doing is one of the top tips I could give you for achieving a more minimal life. Reading free e-books, walking with your pet and yoga are some amazing free hobbies. Find your passion, and mindless spending will be a thing of the past. Spend on stuff that truly speaks to your heart. A great benefit of minimalism is that when you do decide to buy something, you can opt for better quality goods because you haven’t been spending frivolously on meaningless things. You’ll value these thoughtfully made investments more and hang onto them for a longer time. Furthermore, fast fashion that’s easy and cheap is not only bad for you, but bad for the environment and is often poor quality. And what happens when you buy poor quality? You need to replace it soon after! A famous quote from Socrates is “The secret of happiness, you see, is not found in seeking more, but in developing the capacity to enjoy less.” Sage advice. The presence alone of clutter can cause psychological stress. It’s not a good sight and over time living in a messy environment can become depressing and overwhelming. Be ruthless with your decluttering mission. Go through all of your belongings and decide what you need and don’t need. Remove items you never use and you know that you will not use in the future. Next, follow the six month rule. If you haven’t worn a piece of clothing in the past six months then get rid of it. Do not become a hoarder and do not make excuses for keeping something of no value to your life. The mind is very good at thinking of ways to not change your life. Repeat the decluttering process on a regular basis and without fail. It is a sad fact that no matter how determined we are, things can start to accumulate and it is up to you to make sure that you do not slip into bad habits again. Just make sure to declutter regularly to avoid stressing yourself out. Quickly declutter your life by tackling one space at a time until you are clutter-free. Your peace of mind is the irreplaceable reward. Minimalism is not just about removing unnecessary items from your life. It is also about what you bring into your life. It is important to choose and spend wisely when adding items into your home. Make sure that you really need this item and that you will use it regularly. This process will not only save you money but will also help you get good value out of the things you buy. Do I use this daily? Does it make my life richer? If your material possession doesn’t fall within one or more of these, then chances are you can live without it. A popular minimalism tip is to choose experiences over materials. Use what you have, either money or time, to enjoy “living” versus collecting. In simplifying your life, choosing experiences over materials can have numerous advantages – for your wallet, lifestyle, health, mind and more. Learn new skills by taking classes and courses. Plan experiences for your family, loved ones and yourself. Experiences and good memories are far more valuable than owning an object. Whether it’s books,magazines, newspapers, mail, bills, or documents for work, it’s surprisingly easy to fill space around your home and office. 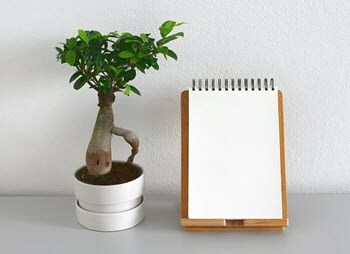 Minimalist living is knowing the art of reusing things. Learning to fix or repair something on your own will not only save you a lot of money but it will also make you feel great about yourself. Who wouldn’t like to be more self-sufficient? I know I would! Now that you’re living as a minimalist, you will be saving a lot more money. In addition, I highly recommend to make a goal for an emergency fund to work toward. Often, minimalism is interpreted as not having the things that you love. It is actually the opposite! The main point of minimalism is to concentrate on things that you love and get rid of what you don’t. If you are a bookworm and like collecting books, keep them! But if you have loads of clothes that you rarely/never wear inside your closet, then consider donating those. Minimalism will enhance your life for the better, just remember that you don’t have to say goodbye to all of your stuff. A minimalist lifestyle can mean something different to every individual. Minimalists find life to be exhilarating and freeing. Live each day with the goal of enjoying life without the need of material things, while carrying around precious memories that will last a lifetime. 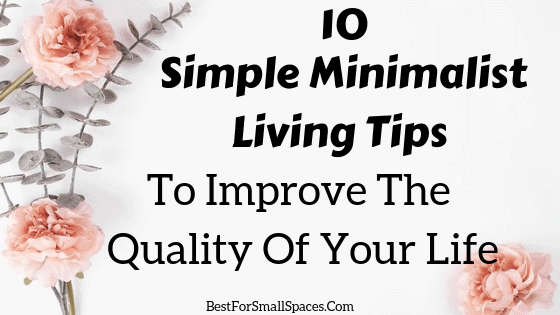 We hope that you’ve found these simple minimalist living tips helpful and that you’ve truly come to believe that ‘Less Really Is More.